There’s nothing better than local art – especially when you get to buy it from the artist! We thought that Harry Holiday was just a friendly face we saw as we shopped around the Hillcrest Farmer’s Market in San Diego, but little did we know we would be taking a piece (or pieces) of him home with us last Sunday. All that I know about Harry Holiday, is that he’s nice and he’s from Ocean Beach. Harry sells prints for $10 each or 3 for $20 – so we opted for the 3 because we loved them and hey, it was a hell of a deal! 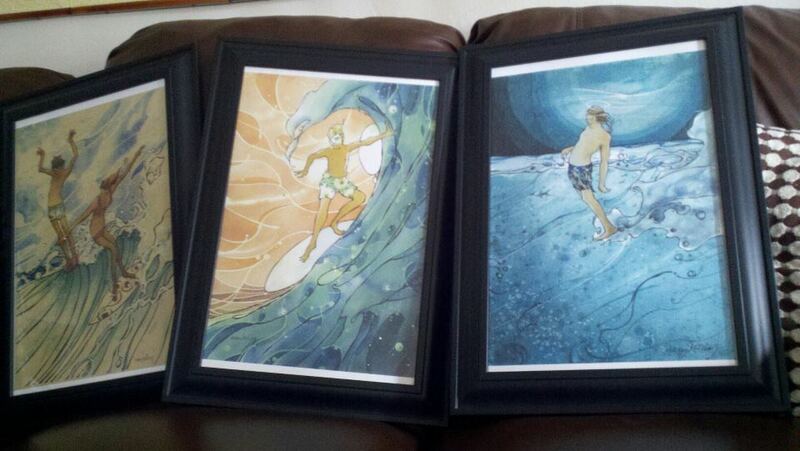 We picked up the framed from Craig Frames Inc. online for around $20 each, including shipping. All of the frames arrived safe and sound, and it was easy for me to unroll the prints and mount them.